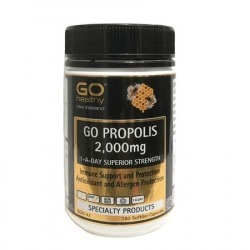 Description: 180 veggie capsules of 100% pure propolis resin. 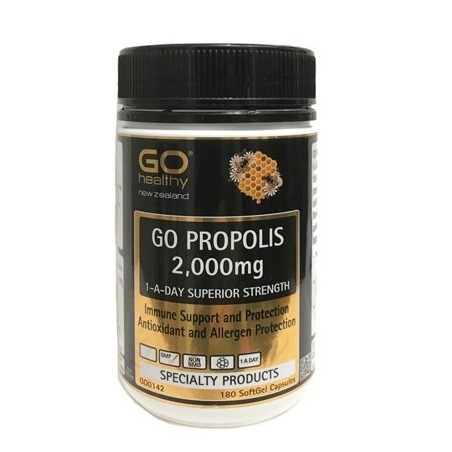 Each capsule contains propolis extract of superior strength equivalent to 2000mg of fresh propolis. (Take 1 capsule with food daily). Known as “bee glue” and “nature’s best defence”, propolis is the sticky resin or sap collected by the bees from plants, combined with beeswax and their enzymes, and used for reinforcing the construction of their hives and keeping them free from bacterial and viral infections. Its natural antibiotic, antiviral, anti-fungal properties and high concentration of flavonoids have been identified by scientists to have potential anti-cancer, anti-tumor and anti-inflammatory effects. 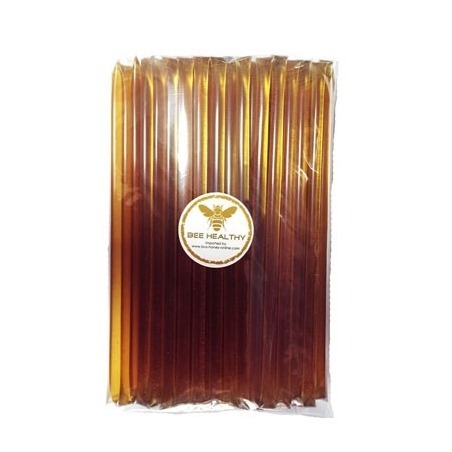 Touted as a treatment for tonsillitis, mouth ulcers and intestinal infections, propolis contains an active component, Caffeic Acid Phenethyl Ester known to be effective in inducing death of cancer cells without affecting the healthy cells. Used as a dietary supplement, propolis capsules are also beneficial in boosting antioxidant activity, strengthening immune function and fast healing of cuts and wounds. 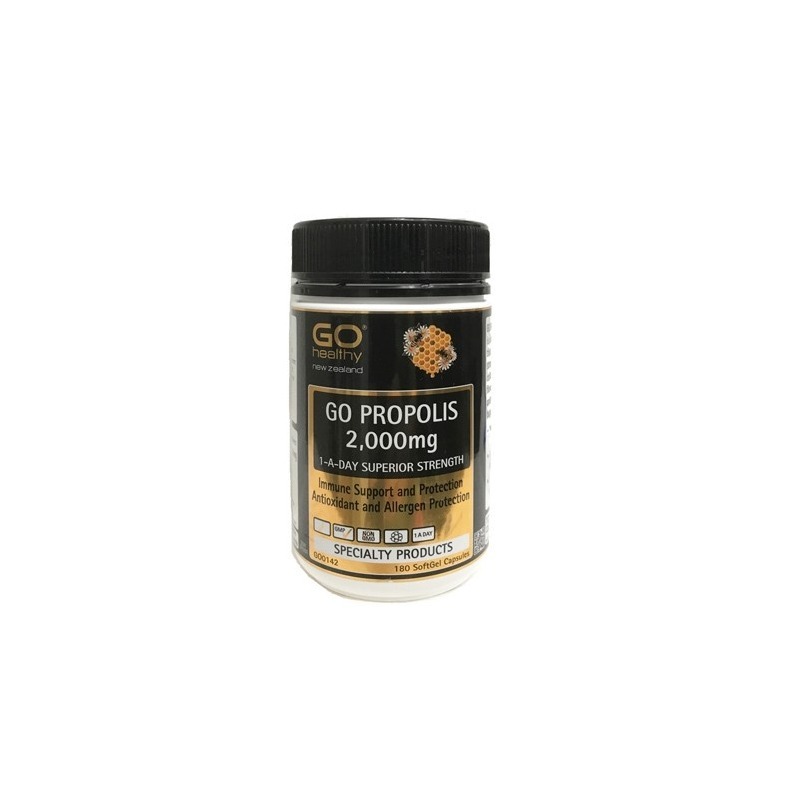 And the combination of propolis and bee pollen is highly recommended for colon cleansing and correcting chronic constipation. 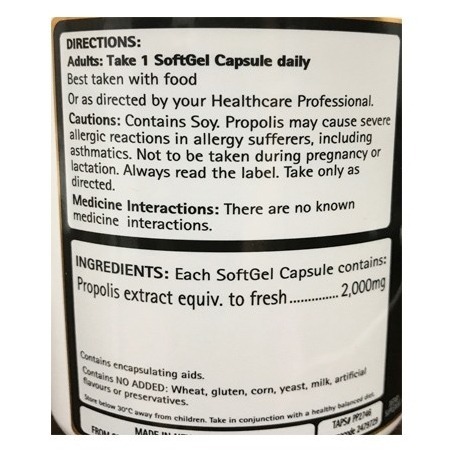 Note: capsules are perhaps the best way to ingest propolis, as it's not the most pleasant-tasting food on earth.